WooCommerce is one of the most cost-efficient ways of starting an online store. Built upon the very reliable foundation of the WordPress CMS, WooCommerce allows someone with basic technical know-how to create a professional and fully-featured ecommerce store within days. Due to the accessibility of WordPress as an open-source platform and WooCommerce as a free plugin, there are numerous ecommerce stores being created everyday using these platforms. Competitors such as Shopify may be very capable in their own right, but they do not give the full control over site functionality that WooCommerce does. The popularity of WooCommerce has also encouraged designers and developers to come up with WordPress themes that are optimized to work with WooCommerce. These are basically WooCommerce themes, but since they have to be used within the WordPress platform, you can also refer to them as WooCommerce-optimized WordPress themes. Remember, not all WordPress themes offer WooCommerce support or pre-styled WooCommerce templates. In this post we’ll be discussing everything there is to know about WooCommerce themes, and the best ones available across various categories, which you can use to build your ecommerce store. Where Do I Buy WooCommerce Themes? How Do I Get Started with WooCommerce? Let’s start with premium themes, which you have to pay for but then you get a lot in return in the form of usability, free plugins and regular updates. Premium WooCommerce themes are usually paid, so they require an upfront investment from the site owner. Prices for premium themes can range from just $30 to more than $100. Generally, the pricier a theme is, the more better-looking it’s going to be. Other than that, the best WooCommerce themes also come pre-loaded with paid plugins, which can potentially save you money if you were to purchase those plugins separately. ezBoozt is a WooCommerce WordPress theme that has pre-built site templates for nearly every kind of online store. With 48-plus demos available, there’s a lot of choice when it comes to site layouts with this theme. The pre-built ‘demo’ designs cover a variety of ecommerce industries including fashion, electronics, furniture, botanists, adventure and much more. There are also quite a few generic layouts included which can be used for any kind of industry. Setting up a website is quite easy, thanks to the 1-click demo importer tool. You simply have to upload the theme files, select a demo that you’d like to use, and that’s pretty much it. The great thing about this theme is that nearly every design aspect can be modified via the front-end visual editor. 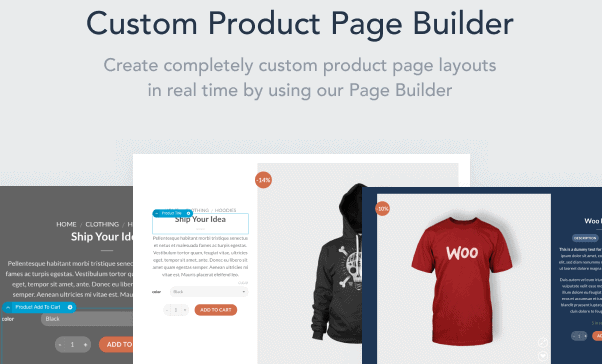 A drag-and-drop page builder plugin is also included, so you can create custom pages without having to resort to `any sort of programming. ezBoozt also comes with a number of useful ecommerce-centric site widgets and features. For example, there are product quick view panels, an interactive filtering system, wish lists and promotional countdowns. Needless to say, ezBoozt covers a lot of bases when it comes to an ecommerce themes. Price wise, it’s pretty much what you’d expect from a premium theme sold on ThemeForest, at around $60. Those looking for a versatile theme with great designs and useful features, ezBoozt is a great option. 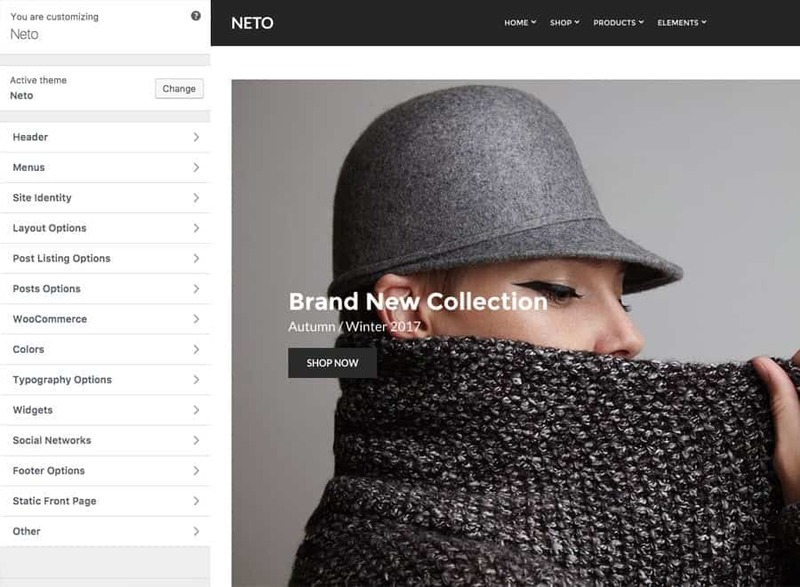 Neto is a minimalist WooCommerce WordPress theme that can be used for a variety of ecommerce niches. The theme fully supports WooCommerce and includes all the page templates that an ecommerce store might need. The layout is modern with a minimalist aesthetic, with a large content slider on the home page and several image links that can be used for any purpose (displaying products or categories, for example). All necessary store pages –shopping cart, checkout, and order detail – come with this template. To give user control over the design, the page design has been made compatible with major page builders, so you customize any of the demo pages using your favorite WordPress page builder plugin. Basic design tweaks such as color accents can be done through the default WordPress theme customizer. Also, thanks to the minimalist nature of this theme, response times are quite swift and you can expect to perform favorably in Google’s tests for page speed. 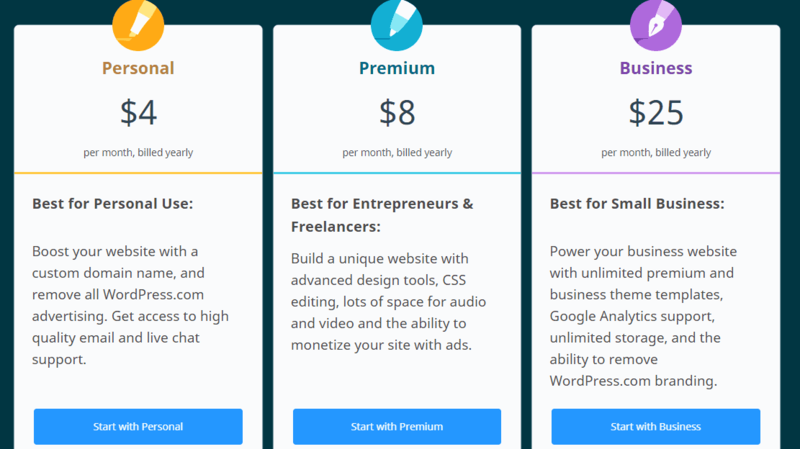 When it comes to price Neto is priced somewhat similar to other premium themes at $49, which also grants you a license for unlimited domain usage. Claue is a modern and minimal theme that’s great for creating trendy online stores, particularly those related to apparel and clothing. Like most other premium themes, Claue comes with pre-designed ‘demo’ templates, which can be applied with ease so you can get started with building your store. The pre-built pages look great, but can be customized using the included Visual Composer plugin. Visual Composer is a popular page-builder plugin for WordPress, and allows you to modify nearly every aspect of a WordPress page. You can even create completely new pages using this plugin. Theme customization options can be accessed through the WordPress customizer, and there’s a theme control panel as well to access additional settings such as lazy loading and infinite scrolling. For anyone who wants to create a fashion store, we strongly recommend Claue. Eva is another great option for those who’re looking for a fashion or apparel oriented WooCommerce WordPress theme. The theme is very bold in its styling, and the default homepage has been designed to greet your site’s visitors with a large banner-styled slider. Below the slider there’s a section where you can showcase different products on your site. Product listings also get a special ‘hover view’, which shows visitors additional product images if they hover over the product. The Eva theme also features a built-in related products algorithm, which is fairly decent in figuring out the right (related) products to your store’s visitors. The default design and layout of the theme is quite attractive, but if you want some control over the design there’s a page-builder included as well (Visual Composer, in this case). Using the page builder, you can easily move around different elements in the layouts so you can achieve exactly the sort of layout you want. We recommend the Eva theme to merchants of high-end fashion apparel. 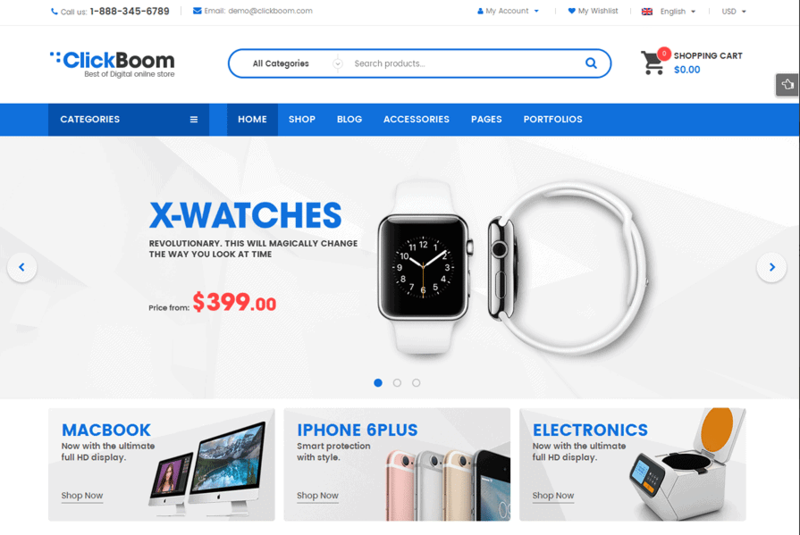 ClickBoom is an electronics-focused WooCommerce WordPress theme that can be adapted to be used for a variety of ecommerce niches. However, its pre-built layouts are best suited to technology and computer hardware stores. The homepage design of the theme sports a classic layout, with a menu bar at the left for categories, and a top navigation menu for general website navigation. We think this layout is great for stores with large inventories, no matter what niche they’re in. All in all, there are about 6 homepage layouts to choose from, so if you’re bothered with the menu on the left you can simply choose another layout. If you’d like to further customize the look of the various pages included with the theme, you can use the Visual Composer page builder plugin (included) to tweak the layout of any page to your heart’s content. The theme comes with 9 color variations which can be easily selected from the theme’s settings. 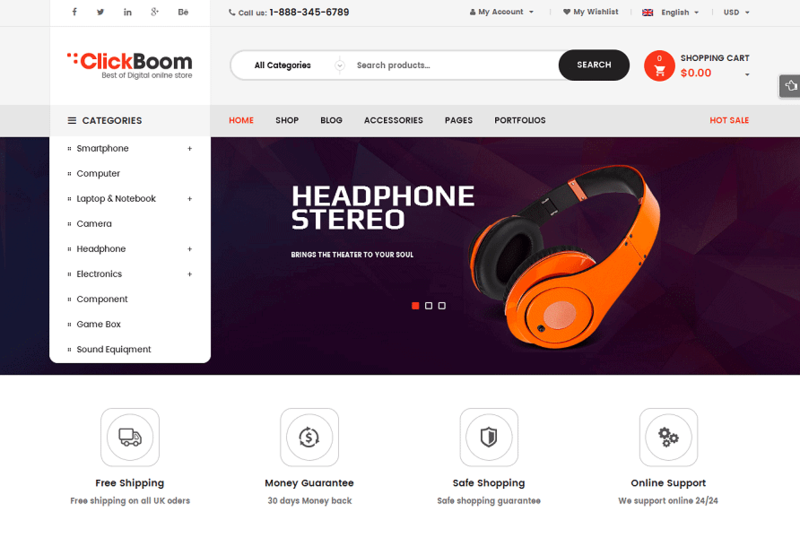 Like we’ve mentioned before, ClickBoom is a fairly versatile theme that can be used for nearly any kind of store that has a large lineup of products. For merchants of electronics and technology goods however, this is one of the best WooCommerce themes available. Quickmart is a modern theme geared towards online stores selling technology and electronics products. As always, it’s completely up to you to decide the kind of products you’ll be placing on the theme, but we like Quickmart particularly for the electronics store niche. One of the best aspects of this theme has to be its crisp design. There are themes out there that look great today but will quickly become outdated in a few years because of their reliance on current design trends. Quickmart however, sports a classic layout but infuses that with flat colors and simple design touches. We think this theme will look good even 5 years from now. There are 3 theme ‘demos’ to choose from, each of which can be installed with just 1 click. Each of the demos is great and will make any electronics store look good. One of the homepages has a collapsible categories menu, which is great for conserving screen real estate while still allowing for a good navigation experience. 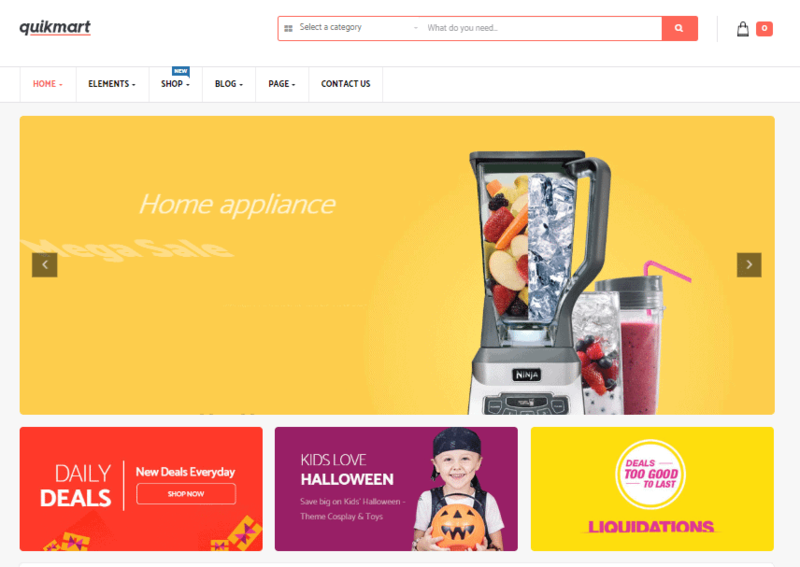 Quickmart is a great WooCommerce WordPress theme for stores with a large number of categories and products. It looks great, features user-friendly layouts and has multiple design options to suit varying tastes. There are stores that aren’t looking to sell a lot of items. Instead, their focus is on a small number of niche products, and as such there’s no need for expansive category or product pages. Shopkeeper is a WooCommerce WordPress theme that has been designed exactly for such stores. The first thing you’ll notice about Shopkeeper is just how well-designed it is. The design is modern and minimalist, with ample space for product images to really showcase the design and features. The theme also works well for selling digital goods such as ebooks, songs and other media. The theme’s minimalist design also makes it very responsive to inputs, and it should fare quite favorably in Google’s page speed tests. The theme comes with the highly regarded Revolution Slider plugin, so setting up your own slideshows should be a fairly simple task. If you want to tweak the excellent pre-built page layouts, you can use the built-in drag-and-drop Visual Composer plugin to do so. The theme’s appearance can be tweaked using the WordPress customizer, where you’ll find plenty of options to play around with. The theme also comes with a special portfolio section which can be used to showcase the best products, or simply for great product images (if the store is focused on a single product). When it comes to price, Shopkeeper is slightly more expensive than what you’d expect from a premium ThemeForest template. Still, we think it’s a worthwhile investment and a great way to showcase a select number of goods online. June is a versatile WooCommerce WordPress theme which can is can be used for nearly every kind of ecommerce niche. Although the included ‘demo’ templates suggest that this is geared towards fashion and furniture stores, rest assured that this theme can accommodate most kinds of products. There are more than 15 uniquely designed demo templates included with June. When we say ‘uniquely designed’, we mean it. That’s because each of the templates has been designed with a different layout, so you have lots of choice in this area. After going through most of the demos, we can recommend this theme for merchants of small-to-medium-sized ecommerce businesses. Larger product lineups can definitely be handled by this theme, but there are better themes available for that. The theme also comes bundled with the Visual Composer plugin, so making small or extensive tweaks alike can be done without much hassle. In fact, June’s developers say that over $150 worth of plugins come included with this theme. 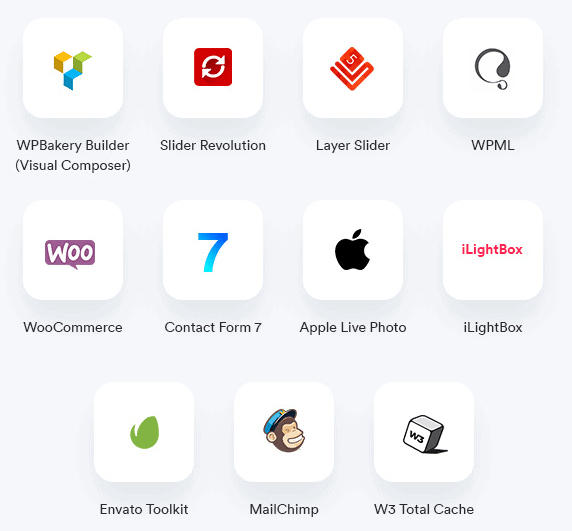 Looking at the list of plugins (Visual Composer, Slider Revolution, iLightBox, Envato Toolkit) included, we’re hard-pressed to argue with that claim. One of the main attractions of building an ecommerce store using WooCommerce and WordPress is that it can be extremely cost-efficient. Getting a domain name and good hosting can be done in less than $50, which is great news for budget-conscious merchants. What’s more, there are plenty of well-designed WooCommerce optimized themes available as well, keeping startup costs low as premium themes can easily cost as much as a domain name + web hosting. Shopper is a well-designed and versatile WooCommerce WordPress template which can be tailored most ecommerce niches. The design is quite modern, and will appeal to store owners who want a simple and clutter-free interface for their online store. The homepage of the theme features a slick and fast-loading slider, which is perfect for displaying product highlights and offers. Below the slider there are several repeating rows which can be used for displaying products and prices. One neat touch here is that if you hover over a product, an ‘Add to Cart’ button slides into view so customers can easily add products to their cart without having to navigate to the product page. Considering that Shopper is available absolutely free of cost, we’re hard-pressed to find any note-worthy faults with it. Recommended for stores with small-to-medium-sized inventories. Online Shop is a free WooCommerce theme great for stores with extensive product lineups. The layout is quite familiar, with a category menu, image slider and product images on the home page. 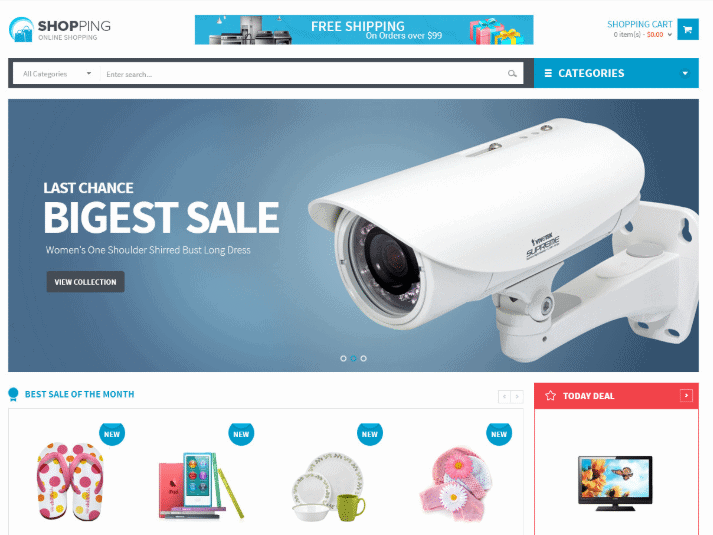 This theme can be used for any sort of ecommerce niche, but we would recommend this especially for clothing and electronics stores. The design is fairly modern and encourages visitors to look around the website. Good design is essential in building trust with visitors, and is usually a concern when it comes to free WooCommerce themes. Fortunately, with Online Shop you really don’t have to worry about it. For store owners on a budget who want a simple yet highly functional theme, Online Shop makes for a pretty compelling one. It doesn’t have fancy product pages but its attractive and functional design more than makes up for that. In fact, we’d say that not having any complicated pages is actually a good thing as it greatly improves the page load times of a website. We highly recommend Online Shop for stores with diverse and extensive product lineups. 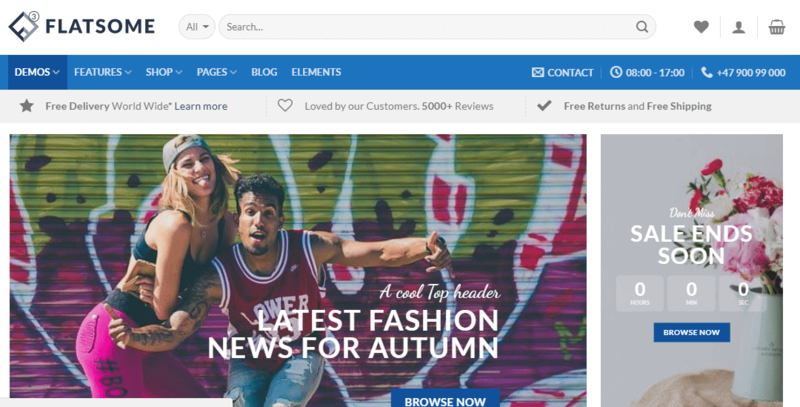 eCommerce Gem is a free WooCommerce WordPress theme that is great for fashion and apparel stores. It features a fairly standard layout where there’s a full-width slider on the home page, with category images below it. The overall theme design is quite modern and crisp, and will definitely be pleasing to the site’s visitors. Navigating through different product categories can only be done from the top navigation menu, but we don’t think that’s much of an issue. 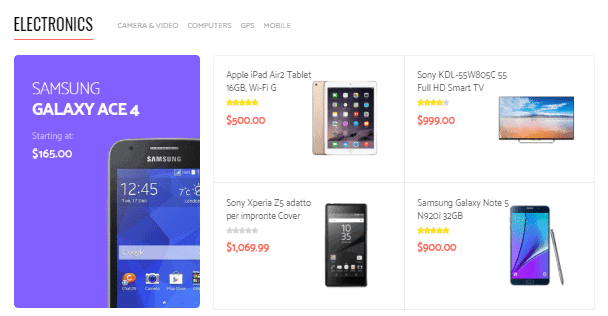 This theme is geared towards stores with small product lineups, and as such the top navigation menu should suffice. The product grid pages are also very nicely designed, with no clutter and simple product boxes which aid in promoting a clean look overall. For store owners on a budget, eCommerce Gem is a great free theme to work on. 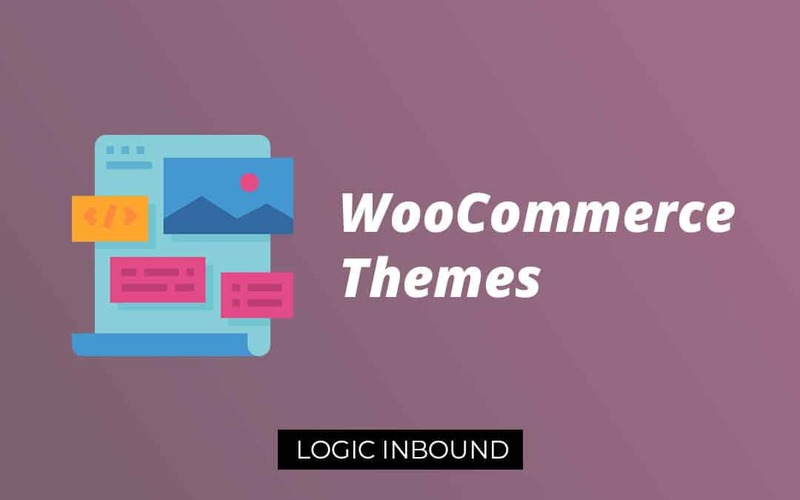 Let’s check out some of the best-selling WooCommerce themes – themes that are the most sought-after on major marketplaces such as ThemeForest. 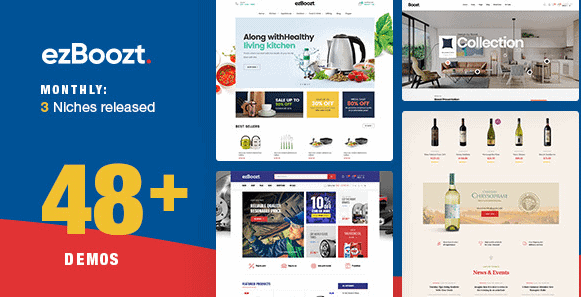 Shopping is a premium WooCommerce themes that has been very well-reviewed on ThemeForest thanks to its customizability and usability for a variety of ecommerce niches. It is advertised as a theme for any kind of fashion, mobile, computer, electronics or gift shop. Judging by the layout and the interface of the theme, we’d say that it is more suitable for stores with extensive product lineups spread across several categories. For smaller stores, this theme would still be fine but it wouldn’t be optimal. The theme comes with 4 different skins, which is to say that there are different color schemes for the theme layout. 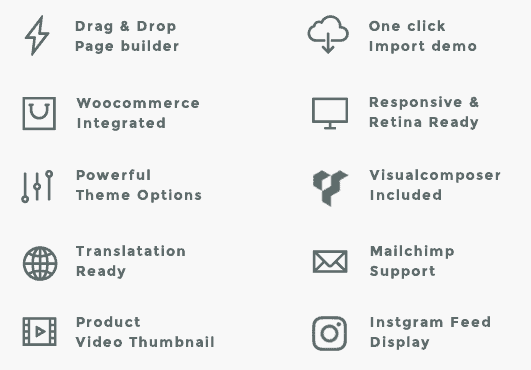 It also comes with some great plugins, such as Visual Composer which can be used to customize or create WooCommerce/WordPress pages from scratch, and Slider Revolution which is useful for creating attractive slideshows. The design is quite subtle, and that’s where the versatility of the theme comes from. We recommend it for any kind of ecommerce shop with a large product lineup. With more than 70,000 sales on ThemeForest, Flatsome is by far the best-selling theme we’ve come across. 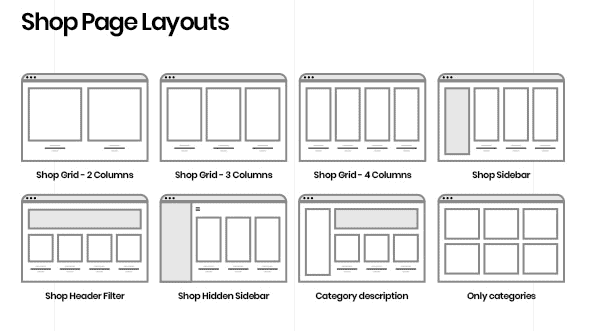 It comes with more than 300 pre-built site templates, so there’s a high chance you’ll find a layout that will fit the vision for your ecommerce shop. Flatsome has been created with a focus on speed and usability, and is advertised having a 98/100 Google PageSpeed score. That is quite impressive, and certainly good for the SEO optimization of your website. If you want to make customizations to a layout, you have plenty of options with this theme as it comes with its own layout and header builder. We would recommend that you view a live demo of the various layouts that come with this theme. The sheer number of layouts can be overwhelming, so make sure you pick a design that you like before purchasing this theme. The answer is simple, if you’ve decided to build an ecommerce store using WooCommerce, the first decision you need to make is whether to use WordPress.com or WordPress.org. WordPress.org, often-times referred to as “the real WordPress”, is a downloadable piece of software that you need to install on a web hosting server. This means that you’re responsible for buying a web hosting plan, a domain name and an SSL certificate (necessary for ecommerce sites). Along with this, you also need to be technically proficient enough to be able to install WordPress on the web server. WordPress.com lets you forego all of this hassle and provides you with a fresh WordPress installation which you can use to your heart’s content. Of course, the free service is not really recommended for ecommerce sites. For ecommerce sites, our recommendation is to go with WordPress.org, as it allows you to have complete control over every aspect of your site. One of the perks of using the WooCommerce + WordPress combo is that you can avail the excellent content management features of the WordPress platform. Competitors such as Shopify and BigCommerce have their own blogging features, but they’re not as fully realized as a true CMS’s (such as WordPress). Because of this, many stores using these ecommerce solutions will have a WordPress blog for content marketing purposes. After you have your WordPress site of choice (self-hosted or hosted), you just have to install the WooCommerce plugin to get started. This is a simple enough step, for which you can consult lots of guides online. After you have WooCommerce installed on your WordPress site, you’ll need to do the usual ecommerce-related tasks such as setting up product categories, adding products, managing inventory levels and such. One of the most important aspects however, that will need your immediate attention after or even before this, will be how your WooCommerce site looks. This brings us neatly to the subject of WooCommerce themes. WooCommerce and WordPress represent a powerful but cost-efficient way of creating full-featured online stores. The outright simplicity of hosted platforms such as Shopify might be enticing, but that comes at the cost of limited customizability and a higher monthly bill (if you want advanced features). When it comes to themes, it’s completely up to you to decide whether you want to go with a premium theme or a free one. If you’re on a tight budget and would like to spend all you can on decent hosting and development, then you can certainly avoid purchasing a premium theme. However, we would highly recommend going with a premium theme. A premium theme has inherent advantages over a free one, such as timely updates, customer support and useful built-in features.